Don’t forget that in beginning there is a double N before the ING. Many learners of English forget the double N.
IELTS candidates should try to learn at least a word a day and this habit should be started as long before the actual IELTS exam as possible. It’s no good trying to learn new vocabulary the day before the exam. That’s too late. It really is. A good IELTS student notes down new vocabulary learned and can find the vocabulary again. 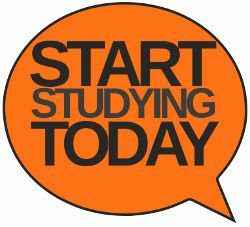 A good IELTS student learns the different forms of a new word eg the past simple form of a new verb and also learns the pronunciation. Don’t leave learning new vocabualry too late. In the IELTS writing exam, make sure that you read the question carefully and that you answer the question. Try very hard to keep to the topic of the question in your IELTS written answer. It is very easy to lose your thread. You can avoid doing this by planning your writing carefully. Make sure that when you finish your IELTS writing, you leave yourself time to edit it. You should practise re-reading your IELTS writing and learning to spot your mistakes. Do you make the same mistakes over and over again? If you know that you do, you should be able to correct these errors before the IELTS exam time is up. Read this to find out more. Remember that the second IELTS writing task is designed to take longer that the first IELTS writing task so you should plan to spend more time answering it. Writing task two is worth more points.